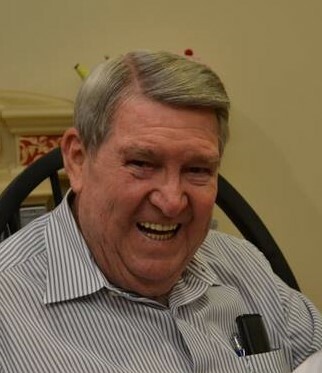 Mr. Alton F. Hunt, age 80, of Oakland Avenue, Boaz, Alabama, died on Friday, April 5, 2019 at Marshall Medical Center South. Service will be held on Monday, April 8, 2019 at Two o’clock p.m. at McRae Funeral Home Chapel with Bro. John Robles and Bro. Greg Stone officiating. Interment will follow in the South Cemetery, Blountsville. Visitation will be on Sunday from 6:00 until 8:00 p.m. at the funeral home. Mr. Hunt was born in Blount County, Alabama on May 27, 1938 to Ollie Olice & Flora Lake Hunt. He was retired form Smurfit-Stone Paper Company. He was a member of Second Baptist Church in Boaz, The Lozahatchee Masonic Lodge and The Blountsville Masonic Lodge. He was a tinkerer and a man of many talents. He was a loving husband, father, grandfather and great grandfather. He was a friend to all who knew him. He truly lived Proverbs 10:24 "A man that hath friends must shew himself friendly: and there is a friend that sticketh closer than a brother." Mr. Hunt is survived by his Wife: Shirley McRae Hunt of Boaz, Son & Daughter-in-Law: Jeff & Jackie Hunt of Arab Daughters & Son-in-Law: Pam & Chris Green and Lisa VanZandt all of Blountsville, Step-son and wife: Tim & Melissa McRae of Boaz, Grandchildren: Hannah & Jeff Maze, Julie & Jason Carroll, Mary Grace & Drew Hicks, Joseph & Brittney VanZandt, Jeffery Hunt, Blake & Hannah Hunt, Nicholette & Gabe Brown, and Dempsey & Chelsea Isom, Great Grandchildren: Halle Perkins, Clare Maze, William Carroll, Cori Hunt, Jasper Maze, Jace Isom, Geethika Carroll, Presley Isom, Levi VanZandt, Lilani Hunt and Ann Everett Isom. Brothers & Sisters-in-law: Travis & Maxine Hunt of Oneonta, Billy & Patsy Hunt of Alabaster, Andy & Rhonda Hunt of Oneonta, Sister & Brother-in-law: Elda & Randy Collum of Alabaster. He was preceded in death by his Wife: Bonnie Hunt, Parents: Olice & Flora Hunt, Granddaughter: Jana Lee VanZandt, Step-Daughter: Dedreia McRae Maze and Step-Grandson: Delaine Perkins. Pallbearers will be Jeffery Hunt, Joseph VanZandt, Blake Hunt, Jeff Maze, Drew Hicks, Dempsey Isom, Gary Hunt, Judd Hunt, Jason Carroll and Dylan Hunt. Honorary pallbearers will be Masonic Brothers. In lieu of flowers the family suggests donations to Ronald McDonald House of Alabama, 1700 4th Ave. South, Birmingham, AL 35233.